Therapy and sanity for ordinary parents of special kids. Celebrating the humor, joy, and triumphs of raising “imperfect kids” in a perfection-obsessed world. Not a scary illness survivor. Not a contestant on the show “Survivor,” as I could never dine on bugs or parade around in my bathing suit (I’d rather not survive than do that). I’m a driving instructor survivor. Or to be more specific, a survivor of teaching my 18-year-old anxiety-ridden daughter how to drive. I’ll admit this wasn’t my first new-driver rodeo. In my illustrious imperfect parental career, I helped my older daughter, with visual spatial issues and ADHD, get her license (rumor has it I just missed being named “Time” magazine’s “Woman of the Year” for this feat). But this… this was pushing myself to new and unknown limits — teaching a child who has always feared all things unpredictable in life. What’s more I had to teach her how to drive in one of the most unpredictable driving regions in the country (they don’t call Massachusetts’ drivers “Massholes” for nothing). Her anxiety was one of the reasons she was in no rush to get her license. It wasn’t until she turned 18 and started applying to cosmetology schools that she realized it was time. So, I signed her up for driving school, dug out my rosary beads, and eventually took her out in the car to begin her lessons. Her initial struggles with unpredictability were real. With time, practice, and several thousand novenas (thank you St. Christopher), she learned to navigate uncertainties and build her confidence as a driver. I even learned to deal with my own anxieties in a constructive way. Before I knew it, she became a good driver, and I found myself worrying less during our driving sessions. When the day came for her to take her driving test, I knew she was ready, though she had major doubts and anxiety. “What if a sinkhole opens up on the street and swallows the car?” (a bit of an exaggeration, but you get the point). I grabbed her face in my hands, looked her straight in the eye, and said three words that surprisingly weren’t “God. Help. Us”; I said “You. Got. This.” And deep in my heart, I knew she did. I wasn’t wrong. She passed her test with flying colors. I couldn’t have been more proud. Start in the driveway. Parked. This excellent piece of advice came from education consultant, Cynthia DeAngelis, who instructed us to practice starting the car in the driveway. While in park, we also practiced switching from brake to gas pedal, increasing speed, and signaling. By the time we were actually ready to drive, my daughter had her footwork down and we had logged 40 hours of practice (just kidding). Find an empty parking lot. On my daughter’s first real run, I took her to an empty industrial park. The company that once operated there made a wise decision to move as we surely would have killed all their employees. Keep the passenger side window up. Otherwise, you’ll end up with tree branch scratches on your face as your new driver struggles to keep the car from veering to the right. Pray. God and I talked a lot during our lessons. If you’re not a person of faith, bring along rabbit’s feet or trolls (they seem to be popular on the Bingo circuit). Pay for extra driving lessons. If your child needs extra practice, let the professionals handle it (after all they have their own brakes). It may cost you more, but will save your sanity. By following these simple lessons, you just might end up like me — with a proud and licensed driver and a closer relationship with God (we talk every time she goes out to drive). Are You More Anxious Than a 5th Grader? ?? 6. Visit graveyards! #winning You crack me up! Where was this awesome list when I was teaching Annabelle to drive? My daughter was very challenging when it came to getting her license as well. She struggles with anxiety, too, and even though she was/is a great driver, her fear of the test itself was pretty intense. 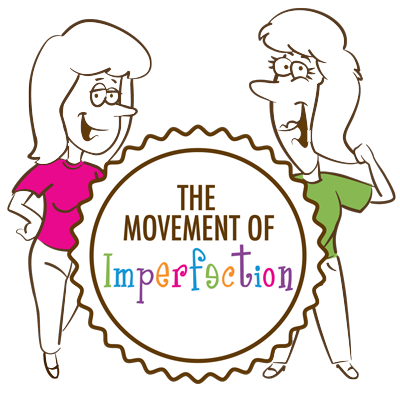 Join our imperfect mailing list. I consent to receive your newsletter. Looking for a keynote speaker for your event? Patty and Gina speak at a full range of events, including conferences, public and private schools, colleges, corporations, and any other place that will get them out of the house. Click here for more information on our workshops then call 978-857-4566 or email us. © 2016 Shut Up About Your Perfect Kid. All Rights Reserved.